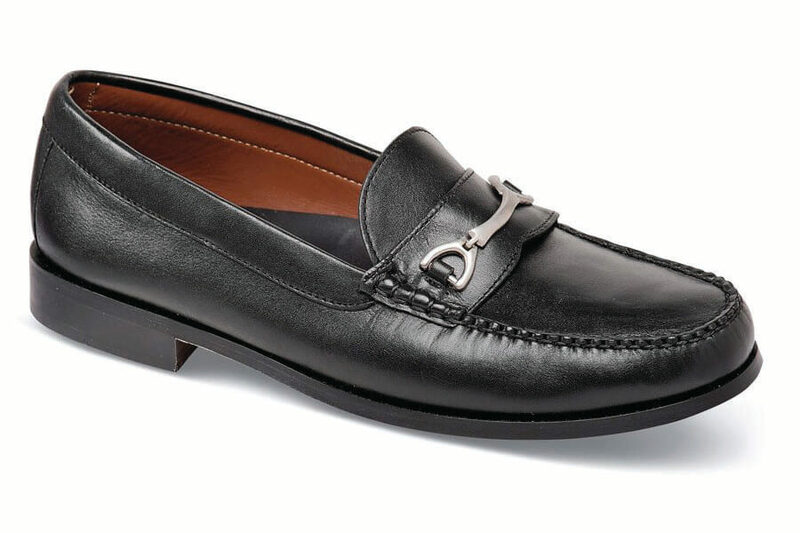 Our black moccasin loafer with metal bit ornament has high-quality hand-sewn uppers that are leather lined for breathable comfort. Extra foam cushioning under arch and heel. 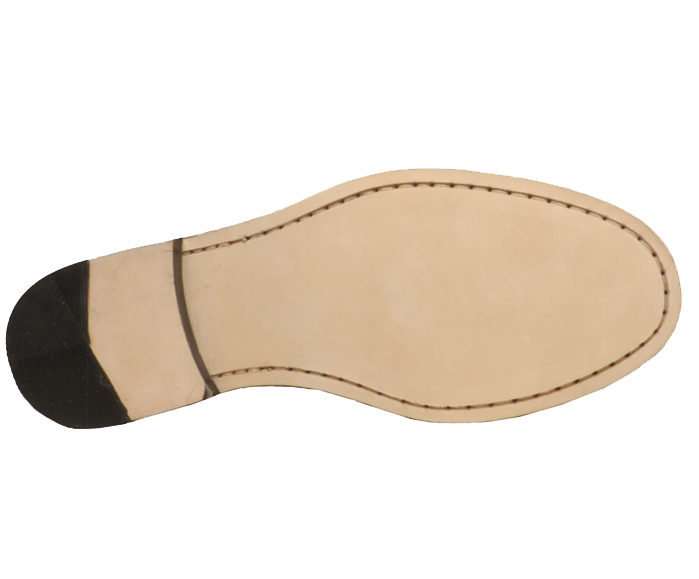 Leather soles and rubber-tipped leather heels. Iroquois last. Originally $109.95. Limited stock in men's 3E, 5E and 6E widths in sizes indicated.